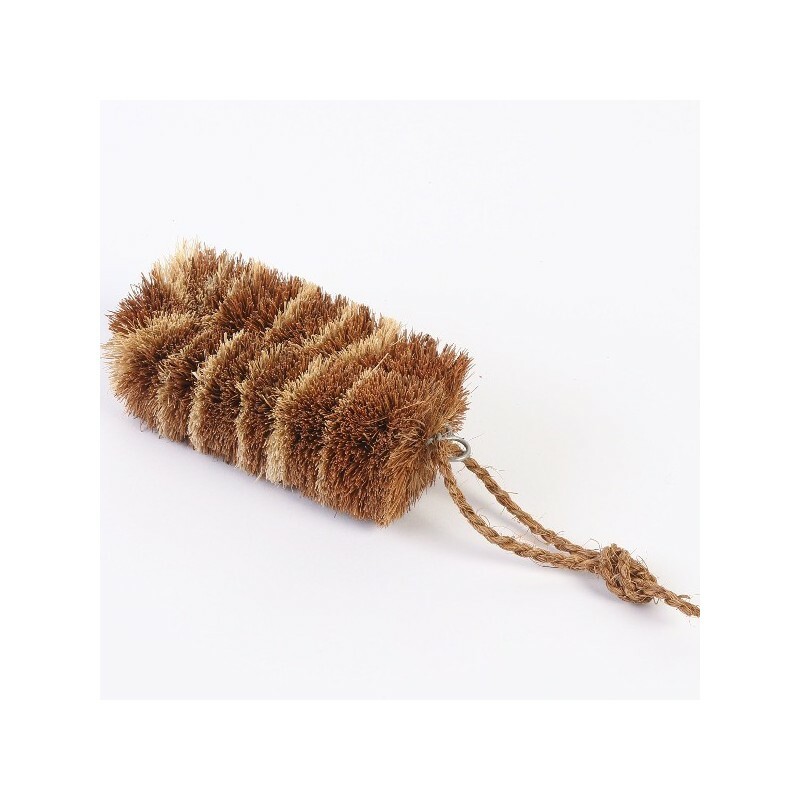 This 100% coconut fibre vegetable scrubber is ethically handmade in Sri Lanka using biodegradable, environmentally-friendly and natural fibres. Galvanised wire joins the brush together and will not rust. Coconut fibre is naturally anti-bacterial. Brush is 12.5cm x 5.5cm x 4xm. String to hang up brush when not in use is 13cm. i love the environmental aspect - coconut fibre, and only a small amount of metal to recycle when it is ready to compost. there are also different strengths to clean the veggies (softer on the edge and harder in the middle). However i found that everytime i use it, some fibres are falling which is annoying. When i need to buy a new one, i will try a different brand. 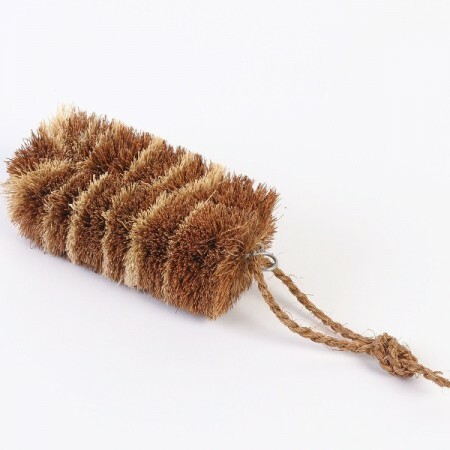 The scrubber I received is different from the one showed in the picture, it came with a wooden handle. Not sure if that's a mistake from the producer or from Biome, nevertheless it is a very useful tool in the kitchen and I highly recommend it.